This beautifully antiqued English viola, by Wilkinson, possesses a rich, warm tone with powerful projection across all registers. It is finished with rich orange varnish over a golden ground and is in excellent condition. 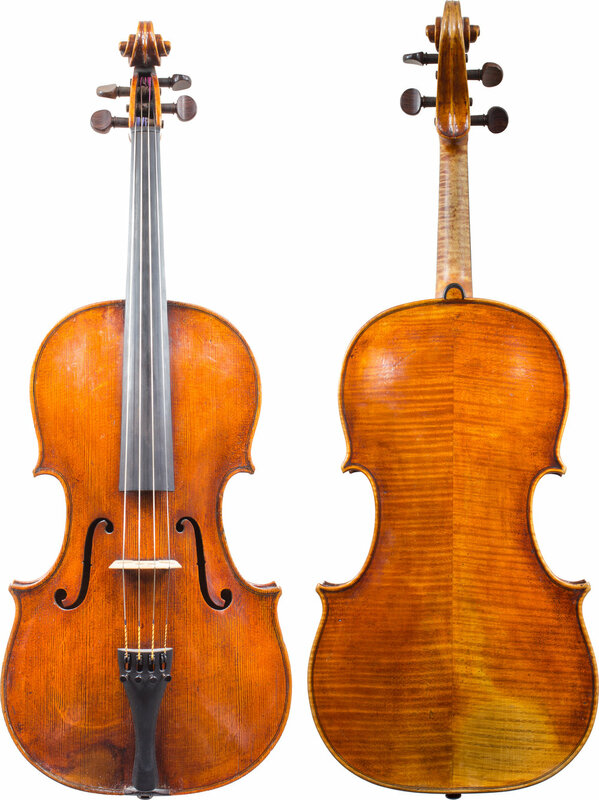 John Wilkinson was a violinist-turned maker who worked for J.& A. Beare Ltd in London for four decades. After a war injury sustained in the Battle of the Somme, Wilkinson lost much of the use of his left wrist, but through the use of a T-shaped splint, he was able to continue making. He is speculated to have made over 900 instruments. - Length of back: 424mm / 16 ¾"